Benjamin Freemantle and Elizabeth Powell perform “Appassionata” during a dress rehearsal at the War Memorial Opera House in San Francisco. Helgi Tomasson was a star dancer in George Balanchine’s New York City Ballet in the 1970s. As San Francisco Ballet’s artistic director, Tomasson has programmed every season with at least one creation by the famed choreographer, plus works by ambassadors of his neoclassical style. This year these performances are grouped onto the ballet’s mixed-bill Program 2, titled “Kaleidoscope,” which opened Tuesday, Feb. 12, at the Opera House. Balanchine’s choreography for five principal women and three men, plus a corps of eight women, echoes Mozart’s charming airs with deceptively simple-looking steps: arabesques, luscious port de bras, low lifts and fleet entrechats, infused with Baroque chivalry. The apparent harmony is undercut by asymmetrical partnering; for example, if the three men partner three of the women, two women are left out. Balanchine’s artful way with prime numbers infuses suspense into his plotless tutu ballets — the ruched and beribboned pastel costumes are after Karinska. Angelo Greco, Benjamin Freemantle and Lonnie Weeks graciously deliver Balanchine’s neoclassicism; Greco stands apart for the joyful partnering he offers to Sasha De Sola. In his eyes, and thus in our eyes too, she is the most enchanting creature alive. 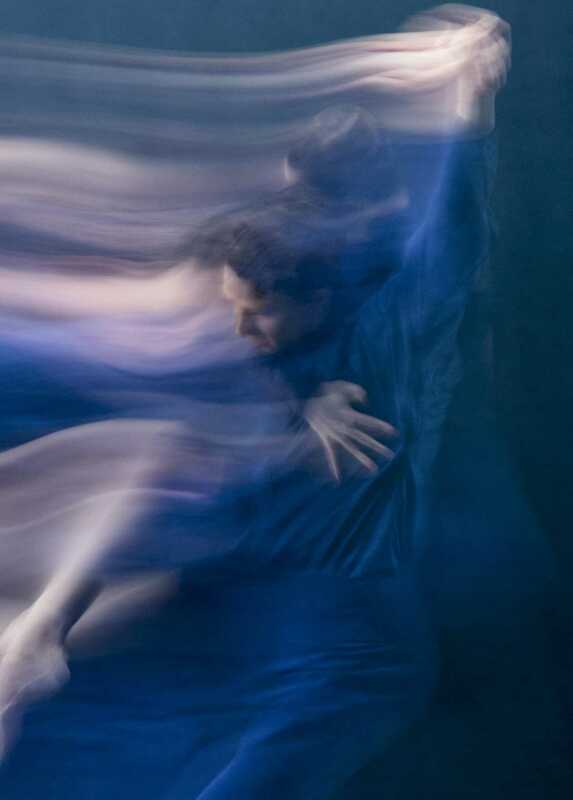 The men swapped partners, with Isabella DeVivo, Mathilde Froustey, Koto Ishihara and Julia Rowe all dancing with fluid clarity. Ambiguous relationships reappear in “Appassionata,” a sojourn to the darker side of love choreographed in 2016 for Paris Opera Ballet, during Millepied’s brief directorship there. Millepied intersperses turns and tours with sweeping lifts, swoops and dips that draw together three couples — De Sola and Freemantle, Dores André and Ulrik Birkkjaer, Elizabeth Powell and Jaime Garcia Castilla — and then tear them apart. The abstract dance-drama is driven by the turgid score: Beethoven’s Piano Sonata No. 23 in F minor, gorgeously played by Mungunchimeg Buriad. Italian fashion designer Alessandro Sartori created the pajama-inspired pants and shirts for the men and tunics for the women, but as alluringly as they billow under Jim French’s lighting, they make the women look like inpatients and the men like orderlies. “Hurry Up, We’re Dreaming” was a popular contribution to last season’s Unbound: A Festival of New Works, and it’s an entertaining change of pace thanks to an electronic-pop score by M83, iridescent Lurex street wear by fashionistas Reid Bartelme and Harriet Jung, and white sneakers in place of ballet slippers. Peck’s aerobic ensemble choreography features somersaults, high kicks and an Up With People optimism that either irks or inspires, depending on your mood. But there’s no ambivalence about the central duets of André with Joseph Walsh, and Powell with Luke Ingham. As the dancers intertwine, embrace, rise and fall, they are pure bliss to watch, like swallows wheeling in air.